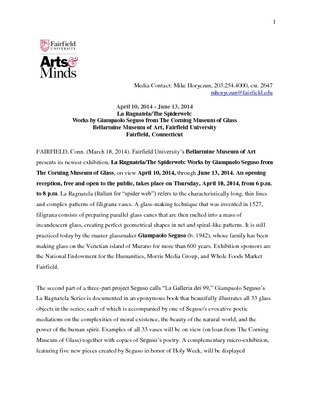 Press Release from La Ragnatela/The Spiderweb: Works by Giampaolo Seguso from the Corning Museum of Glass at the Bellarmine Museum of Art, April 10 - June 13, 2014. 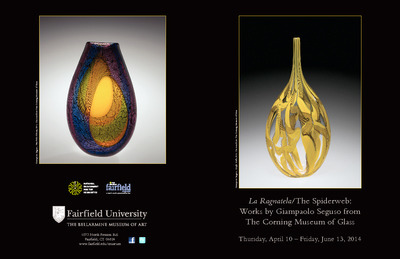 Brochure from La Ragnatela/The Spiderweb: Works by Giampaolo Seguso from the Corning Museum of Glass at the Bellarmine Museum of Art, April 10 - June 13, 2014. Banner from La Ragnatela/The Spiderweb: Works by Giampaolo Seguso from the Corning Museum of Glass at the Bellarmine Museum of Art, April 10 - June 13, 2014. 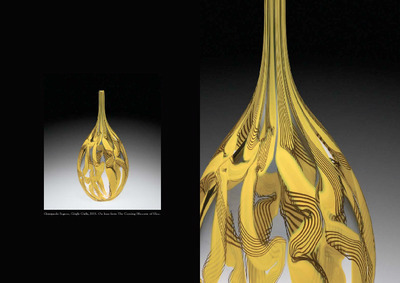 Bookmark for La Ragnatela/The Spiderweb: Works by Giampaolo Seguso from the Corning Museum of Glass at the Bellarmine Museum of Art, April 10 - June 13, 2014. Bookstore poster from La Ragnatela/The Spiderweb: Works by Giampaolo Seguso from the Corning Museum of Glass at the Bellarmine Museum of Art, April 10 - June 13, 2014. 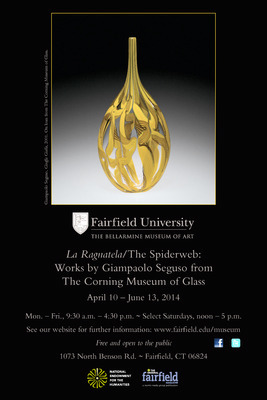 Opening reception invitation to La Ragnatela/The Spiderweb: Works by Giampaolo Seguso from the Corning Museum of Glass at the Bellarmine Museum of Art, April 10 - June 13, 2014.